"I wumbo, you wumbo, he she we wumbo, wumboing, wombology the study of wumbo. Slide chat left to talk in different modes. Go to Menu>Settings>Shortcuts to set up skills, emotes and items for quick usage. Sitting down increases your recovery speed. Some monsters are aggressive and will attack weaker players. Don't rest near them! Spina is obtained by selling items and completing some quests. Equipment is obtained through drops and quests. Refining equipment at the blacksmith increases its attack or defense. Refining won't break equipment, but it can fail and decrease. Starting at Level 10 you have the option of changing your class into either an apprentice warrior or an apprentice mage. Later, at Level 20, you can graduate to become a full warrior or mage. To change classes, talk to Varuna at Fort Bailune, the starting town. Be careful when becoming a full class, since you can't change later on! 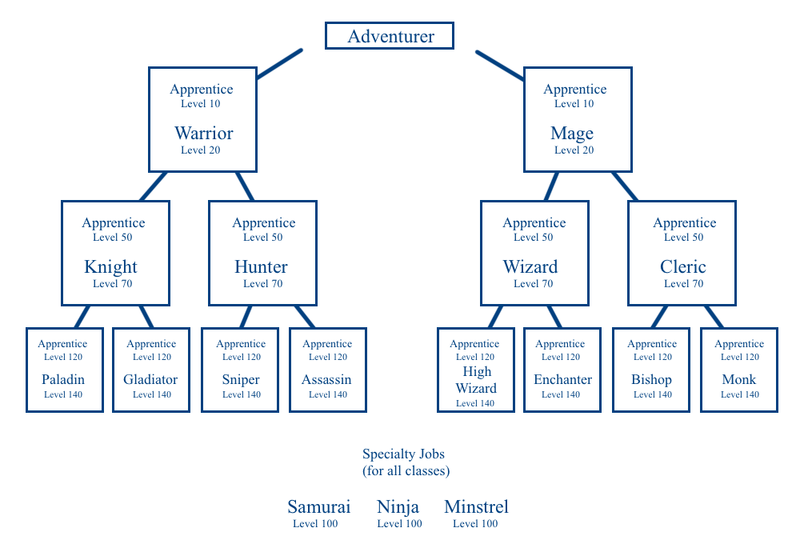 Apprentices can change classes as often as they want. Each class gets its own unique skills for use. Though classes do get skills automatically, there are some skills that need to be acquired through drops or quests. To equip a skill, go to Menu>Settings>Shortcuts. You can get equipment by completing quests or from monster drops. The perfect stat distribution is one of the most important aspects of the game, and if you screw up you'll have to reset your entire character back to level 1. To make sure that doesn't happen, figure out what class you want to be and build your stats to match. STR/STRENGTH increases physical attack power. ATK +3 with sword, ATK +2 with bow. ATK +1 with staff. Best for Gladiators INT/INTELLIGENCE increases mp, magic attack and magic defense. ATK +4 with staff, ATK +2.5 with magic book, ATK +2 with bow, ATK +1 with sword , ATK-1 with special bow. Best for Mages, Wizards, Clerics, High Wizards, Enchanters, and Bishops. Good for Paladins. DEX/DEXTERITY increases accuracy and skill casting speed. ATK +2 with a bow, ATK +1.5 with sword and magic book. Best for Hunters and Snipers. Good for Mages.